The Prairie Climate Centre needed an engaging way to present never-before-seen data about the dangers of climate change to the public and influential government officials. Tactica created an interactive online platform that allows users to explore how the climate is projected to change throughout the years. The platform consists of a collection of interactive maps and graphs and takes users through a guided visual journey of time – all the way to the predicted temperatures of the year 2080. 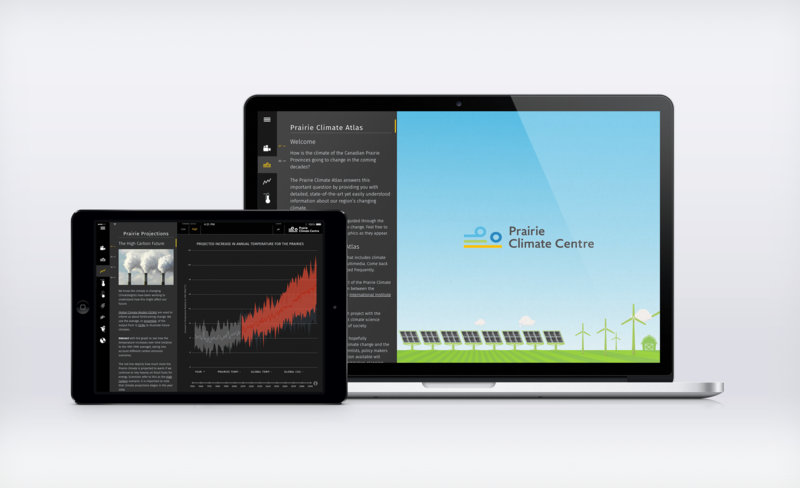 Tactica worked closely with The Prairie Climate Centre to ensure their research was being communicated effectively throughout the interactive process in order to educate and create a lasting impact on users. The Prairie Climate Atlas was featured in the Globe and Mail as a forewarning to Canadians on the consequences of climate change. 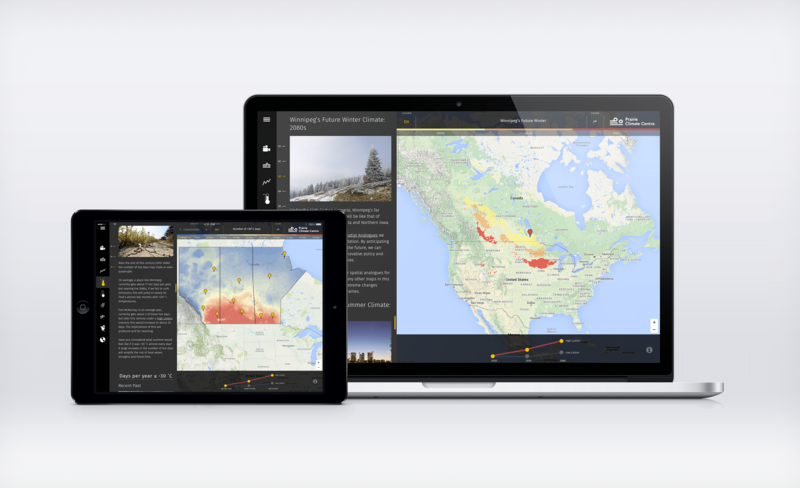 Surrounding recent events of the northern Alberta forest fires, the Prairie Climate Atlas educated thousands of users across the prairies in only a week after its launch date. The platform was able to take extensive scientific research and present it in an interesting way that would be memorable to local influencers – such as identifying how Winnipeg’s temperature will increase to reflect that of a certain southern state by the end of the century . Find out what state’s climate will eventually become our own through the Prairie Climate Atlas. The Prairie Climate Centre (PCC) is a collaboration of The University of Winnipeg and the International Institute for Sustainable Development (IISD). The PCC focuses on providing the latest-generation climate change science to members of the public, policy makers and local leaders. Their goal is to ensure people have the necessary and most up-to-date information in order to motivate the public to drastically reduce greenhouse gas emissions over the coming decades.